We are on the verge of a digital transformation in the way civil engineers and others plan and deliver the city’s infrastructure. We are also likely to see a revolution in the way people move around and interact with the city. Advances in digital engineering provide an unprecedented opportunity to advance our ways of working and transform the city at the same time. It is essential that we understand what the digital future is likely to hold and how the role of civil engineers will change as a result. 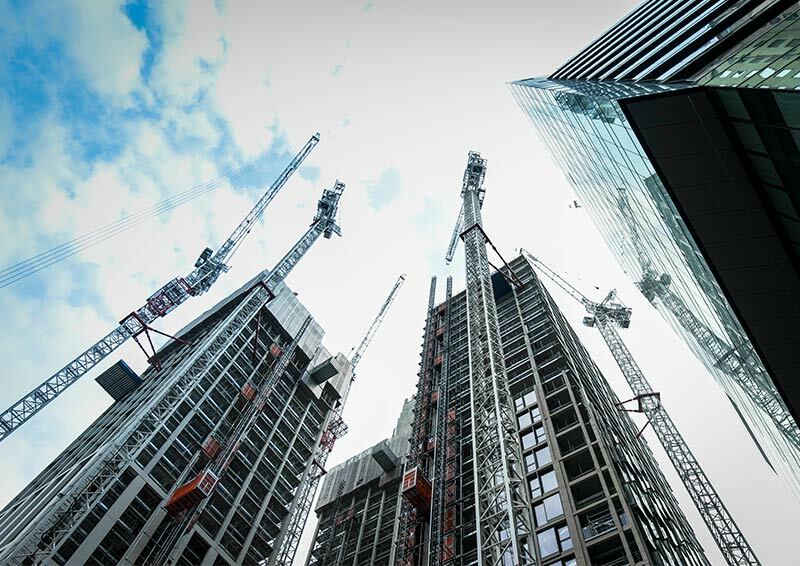 In this lecture we will hear the thoughts of leading professionals and academics on what the future London may look like. With 25 years’ experience in the field of engineering and project management, Mark leads Turner & Townsend’s project management business within Canada. He has regional and international expertise across the infrastructure, real estate and natural resource segments having worked on transport infrastructure, mining, commercial, and educational projects. Mark has had the opportunity throughout his career to contribute on a number of leading edge projects that involved the use of emerging technology, materials and design concepts. Mark is a member of CoreNet, Association for Project Management, and Project Management Institute and is a past member of the Institution of Civil Engineers. Amanda is Head of Strategic Advisory at CBRE and is Managing Director for Advisory in EMEA, supporting clients on their strategic real estate agenda. 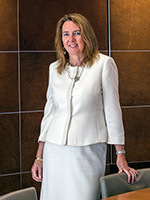 She is a Member of the UK Board and EMEA Occupier Board. She is also the Immediate Past President for the Royal Institution of Chartered Surveyors (RICS) becoming the longest serving in 123 years where her themes as President were; Infrastructure, Cities and the War for Talent (skills, diversity and inclusion). For over 10 years Amanda was a Partner in two of the Big Four; most recently EY LLP, where she was the Head of Infrastructure (Advisory) and, PwC where she led the consulting business across the South East of England with mid-market FTSE250 companies, as well as leading on real estate and infrastructure. She has over 30 years extensive board-level experience gained on strategic assignments in both the private sector. Amanda has published a book (in German) the CEO Guide to Diversity and Inclusion for Real Estate and is just about to release a new version of the book, globally in English, called Managing Diversity and Inclusion in Real Estate and Construction. Amanda is a Fellow of the ICE, RICS, the Association of Project Management, the Institute of Consulting and the Royal Society of Arts. She is a Certified Management Consultant and Companion of the Institute of Management. In addition, Amanda is listed in Who’s Who, was also named by the ICAEW as a Mover and Shaker of 2015 in the ICAEW’s Global Finance 50, as well as City A.M.‘s Power 100 Women list 2016, PropTech Top 100 Global Influencers 2017 and The 51 Most Influential Women in UK Real Estate 2018. She has won numerous other Awards. Amanda writes a regular column in Property Week and has been recently featured in Property Chronicle. Anusha Shah is a Fellow of the Institution of Civil Engineers (ICE), Founder & CEO, Plan for Earth Ltd and Chair of the Thames Estuary Partnership Board. She is also Co-Chair of ICE London & South-East Diversity & Inclusion Task Force, Member - ICE Fairness, Inclusion and Respect Group, Youngest and first female Past Chair of the ICE, London Region and Ex -Trustee, ICE Council and Ex- Non-Executive Director, Thomas Telford Board. Anusha is currently an External Examiner in the Civil Engineering and Built Environment department at the Leeds Beckett University. Specialising in Water & Environmental Engineering, Anusha has nearly 20 years’ experience in managing and leading projects and programmes both in the UK and India. She has worked with consultants, contractors, clients, government, NGO and a Regulator within sectors like Climate Change, Water & Wastewater, Flood Risk Management, Environment, Mining and Rail. She regularly speaks at and chairs events on water, climate change, diversity and skills. She recently chaired a successful session on Sustainable Finance at the ICE’s Global Engineering Congress. Anusha is a Member of the London Climate Change Partnership. She is a strong supporter of a diverse workforce and believes in seeing more women engineers as future leaders contributing to solving world’s pressing issues such as climate change and water scarcity.